If 1 member donates $25, it pays for one speaker to present at a monthly luncheon. 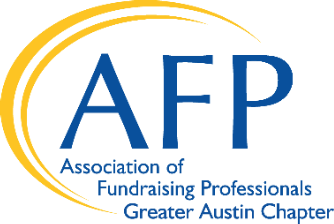 If 8 members donate $50, it pays for one Indiana University Course scholarship for an AFP member. If 3 members donate $100, it pays for one CFRE Review Course scholarship. If 1 member gives $250, it covers the cost of a new member scholarship to join the chapter. If 3 members donate $500, it supports the cost of a monthly luncheon for the community.